Chances are that, at some point, you’ve experienced the dreaded overdraft. In fact, according to TD Bank’s Checking Experience Index, 27 percent of Americans consider overdraft fees the most frustrating fees associated with their accounts. This is fairly straightforward. If you want to avoid overdrawing your account, you need to know where you stand. Keep track of your account balance so that you know what’s going on. “Make a point to always know your available balance and keep track of outstanding checks and scheduled bill payments so you’ll know if you’re in danger of overdrafting,” suggests Bailey. I like to use personal finance software to keep track. I like Moneydance (for the Mac) and Quicken. These applications let you enter and track expenses that might not show up in your account online. You can also enter scheduled transactions ahead of time so that you can keep up with what is coming. While Mint and similar budget trackers can be helpful, the reality is that often you only find out about the situation after it’s too late. Apps like Moneydance, YNAB, and Quicken allow you to plan ahead. It might mean you aren’t totally automated, but it does mean you are more engaged, and likely to know exactly how much you have. You can streamline your finances with automatic bill payments. “By automatically scheduling and spacing out your reoccurring monthly costs, you can avoid having multiple bills hit at the same time,” says Bailey. However, it’s important to be on top of the situation. If you have automatic bill payments, it means that you have to make sure the money is in the account. Don’t assume that you’re set. You need to work around these scheduled payments to avoid overdrafts. Figure out how your account works. I have my account outfitted with overdraft protection connected to a line of credit. This helps me smooth the situation, since sometimes my variable income as a freelancer means that sometimes cash flow isn’t quite what I’d like. The overdraft protection I have is less expensive than a $38.50 charge for an overdraft, since — during the very rare cases that it’s needed — the line of credit balance is paid off before interest is charged. 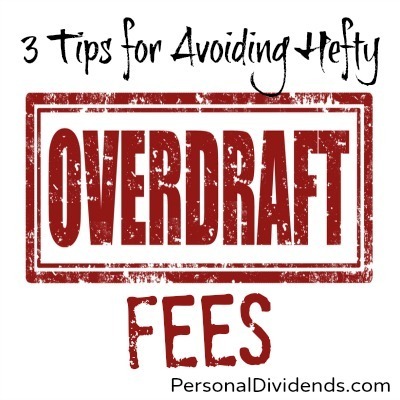 If overdrafts are a problem, you probably ought to re-think the way you manage your cash flow. You can also opt out of the protection so that you are denied at checkout when you try to use your debit card with insufficient funds. It’s a little embarrassing, but at least you aren’t racking up the overdraft fees.